Goodmorning Everyone! I hope that you all have a beautiful day! The sun is shining here and it looks like its going to be a fabulous start to the long weekend. I hope that you get to enjoy time with your loved ones and the little ones enjoy the Easter festivities. I am almost all caught up with my posts, but today I am back to share with you another Birthday card. This card was ordered for a very special birthday and I was super happy to be asked to create it for her. It was a nice chance to work with a colour scheme I haven't worked with before, and use a couple of products that I haven't used in the past. 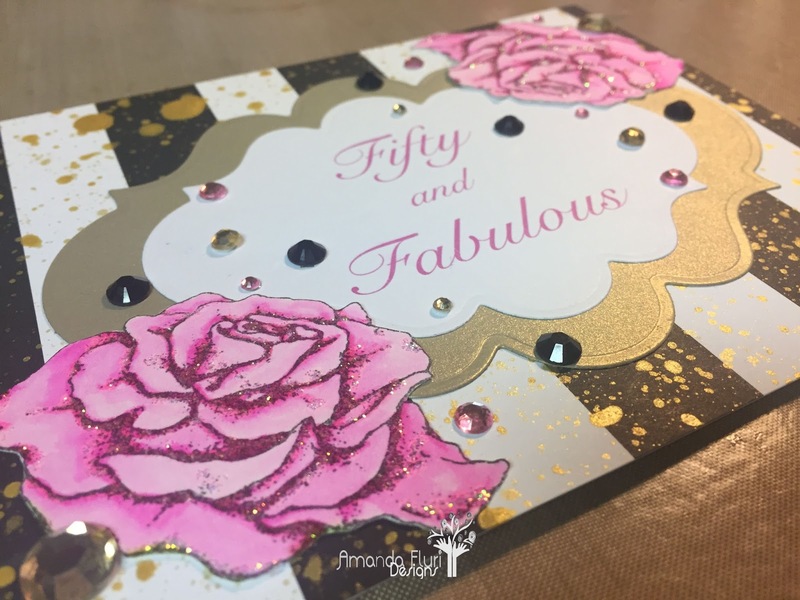 The colours on this card are incredible, and it is so CLASSY and fancy for such a special occasion. 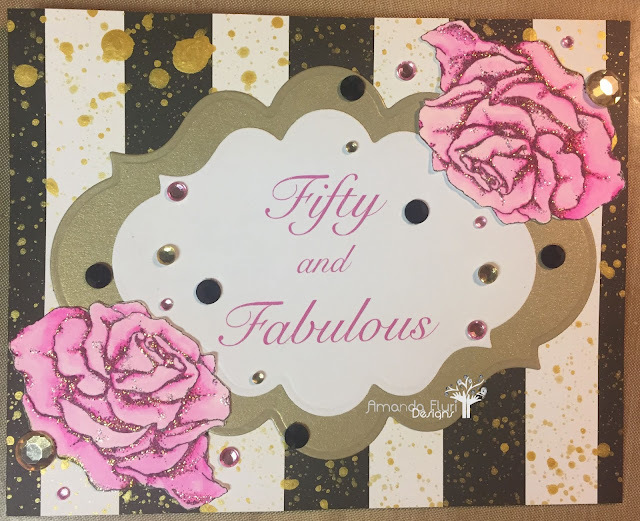 I am soooooo happy with how this card turned out, the only thing I would change is the colour of the paint splatter to match the pattern paper, or vice versa. Thanks for stopping by. I will be again soon with some more designs for you! Such a beautiful card love your rose and the splatter of gold, thank you for your comment on my card. Thanks so much for stopping by my blog Babs! I love your work! I love that the blogging community allows us to share comment love with one another! Keep Creating!